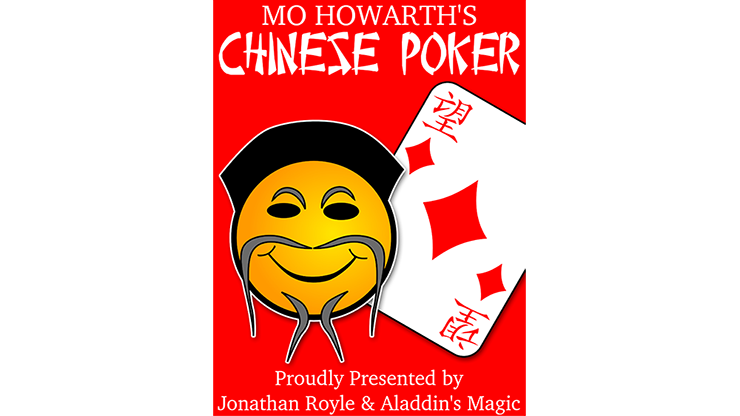 Today, when you order "Mo Howarth's Legendary Chinese Poker Presented by Aladdin's Magic & Jonathan Royle Mixed Media DOWNLOAD", you'll instantly be emailed a Penguin Magic gift certificate. You can spend it on anything you like at Penguin, just like cash. Just complete your order as normal, and within seconds you'll get an email with your gift certificate. Devised by the late Mo Howarth, based on ideas by the late George Sands and with rave reviews from world class magicians, we are delighted to finally be able to bring you Mo Howarth's Legendary Chinese Poker routine. The performance video above features Jonathan Royle and Kevin Potter of Aladdin's Magic, to whom Mo Howarth most recently granted sales and distributions rights to this trick. It really speaks for itself in illustrating how truly magical, entertaining, and commercial this trick really is. Presented either as a conventional packet trick with apparently just 4 cards being removed from your pocket, or as Royle demonstrates in the video, you can start with a full deck. This can be shuffled by an audience member in advance. Four cards are then selected at random by spectators and you appear to use these 4 randomly chosen cards to perform the routine. This is by far one of the most eye popping and magical tricks ever devised with the cards turning face upwards and then face down again. Faces change from one thing to another, all back designs change color, plus other surprises are along the way in this fast-moving and truly memorable routine. Even more exciting is the fact that only one extremely simple sleight is used during Chinese Poker and that, within this package, we also show you how this can easily be used as a feature cabaret or stage routine as well as in your close-up and table-hopping work. Your download includes a large format (A4) photo illustrated 28-page PDF and access to several step-by-step training videos. These teach you exactly how to perform both variations of this routine and explain how to easily make up the required cards from old odd packs you no doubt have lying around (as the back designs used can be changed to what you have available). "I had the pleasure many years ago of seeing Mo Howarth perform Chinese Poker and I thought it was fantastic. If it is being re-released it should go straight in your close-up set." "Wow what a stunning effect!! I had never seen that effect before, but it blew me away with a great premise and then having the color changes in the routine as well as the faces changing. I'm sure it will go down a storm with the online poker craze at the moment so very topical. Great to see an old trick being re-released as I'm sure there are a ton of young magicians out there who will never have seen it before either, well done!" "Chinese Poker is a great effect. Extremely commercial and easy to do, it's a real fooler for any audience with a nice story line. I used to perform this, and you have just reminded me how good it really is 10/10." 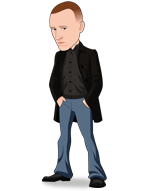 "I have just watched the routine Chinese Poker and was very impressed. This can be performed by a magician that only requires learning one very easy sleight. It's a great effect with each turn of the cards and a killer finish. Great effect for a lay audience." "For such a simple trick to learn and perform, this is one of the most action-packed, fast-moving and eye-popping truly memorable routines that I have ever had the pleasure to perform to real world audiences." "Chinese Poker has been by far one of my favorite and most performed close-up routines for well over 30 years now and I am delighted to finally be able to honor Mo Howarth's memory by bringing this to a wider audience."